Let’s save these guys, please? In a tiny 15-by-7.5-mile section of Mexico’s Sea of Cortez, poachers come out in the night and drop their illegal gillnets. They’re fishing for the critically endangered totoaba, a large fish whose bladder is used in Chinese traditional medicine. However, these gillnets don’t only catch this endangered fish; they catch the vaquita, the most endangered marine mammal in the world. In fact, those fishnets have decimated the remaining population, which stands at no more than 22 individuals and probably closer to 10 as of the summer of 2018, according to a report released on March 14 by CIRVA, an international committee seeking to save the species. 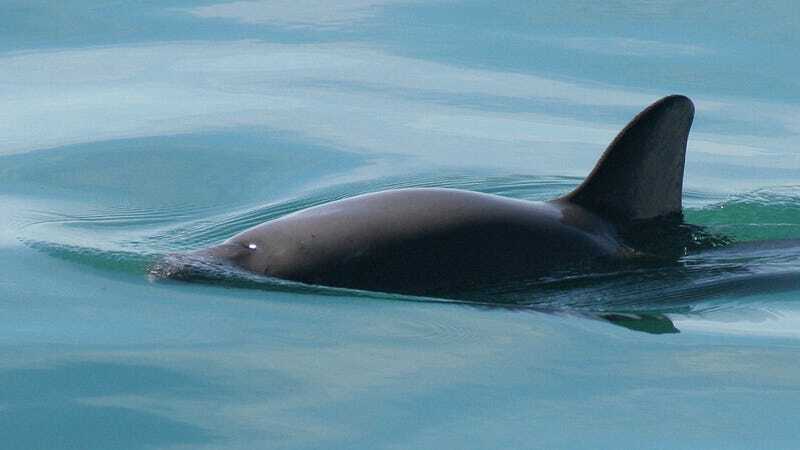 The same day that report was released, activist organization Sea Shepherds, one of the groups working with the Mexican government to pull out these nets from the water, announced its members found a dead vaquita entangled in illegal fishing netting. These damn nets are the animals’ only threat, said Barbara Taylor, who leads the Marine Mammal Genetics Program at the National Oceanic and Atmospheric Administration. Taylor was out observing the animals in September, and all the vaquitas she saw were “fat,” she told Earther. (That’s good!) She and her team even saw two healthy calves. In other words, the animals are doing well outside of their high mortality rates from deadly fishing nets, which are frequently deployed in an area set aside as their refuge, per the CIRVA report. These nets have a mesh large enough for the vaquita to get its head stuck, Taylor explained. The animals get entangled and drown. Because the nets are illegal, there aren’t any surface markers, which would help others more easily find and remove them. A vaquita entangled in this stupid net. Currently, government officials aren’t guarding the animals though some groups do keep watch at night to learn where fishermen drop their nets, Taylor said. The CIRVA report recommends the Mexican government engage in 24-hour surveillance in the small area where the animals live and arrest anyone breaking the law by deploying the nets, especially during the totoaba season. In 2018, the season, which runs from December to May, some 400 active gillnets wereremoved by Sea Shepherd, according to CIRVA. So there’s hope. Because the animals face a single threat, eliminating it should help their numbers bounce back. However, this will require direct action from the Mexican government. It successfully saved the then-nearly extinct northern elephant seal in the early 1900s. Perhaps it’ll do the same for its last vaquitas.